David Barker was a pioneer, among the first to tie chronic disease in adulthood to growth patterns in early life. His work began nearly 30 years ago while studying birth and death records in England, where he noticed a link between low birth weight and a risk for dying from coronary heart disease as an adult. He developed a hypothesis that early-life nutrition and growth is an important factor in determining whether a baby will grow up to be more or less vulnerable to cardiac and metabolic disorders. Barker put forward the idea that a baby born to a woman who had poor nutrition while pregnant would be more vulnerable to chronic diseases like heart disease, high blood pressure, diabetes and obesity later in life. Barker’s hypothesis inspired others to study the fetal origins of adult disorders, and aided in the development of a new area of medical research called the Developmental Origins of Health and Disease, or DOHaD. Since Barker’s initial discovery, many studies across the globe have found similar links between early growth and a lifetime risk for development of chronic diseases. The OHSU Moore Institute for Nutrition & Wellness continues this research, as well as translates its findings in the hopes of eradicating chronic diseases in future generations. 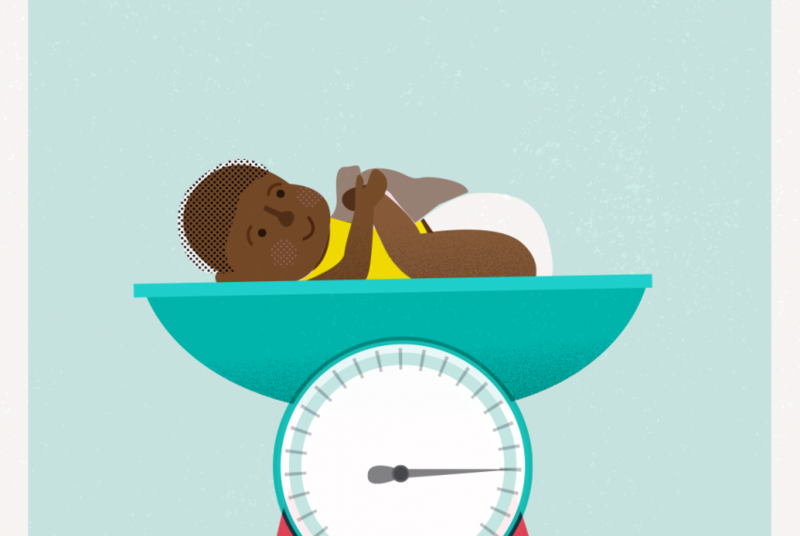 While we think of malnourished children being born in the developing world, many babies born in the U.S. and other developed nations are suffering from a different form of malnourishment: They have an excess of calories, but are lacking in nutrients. 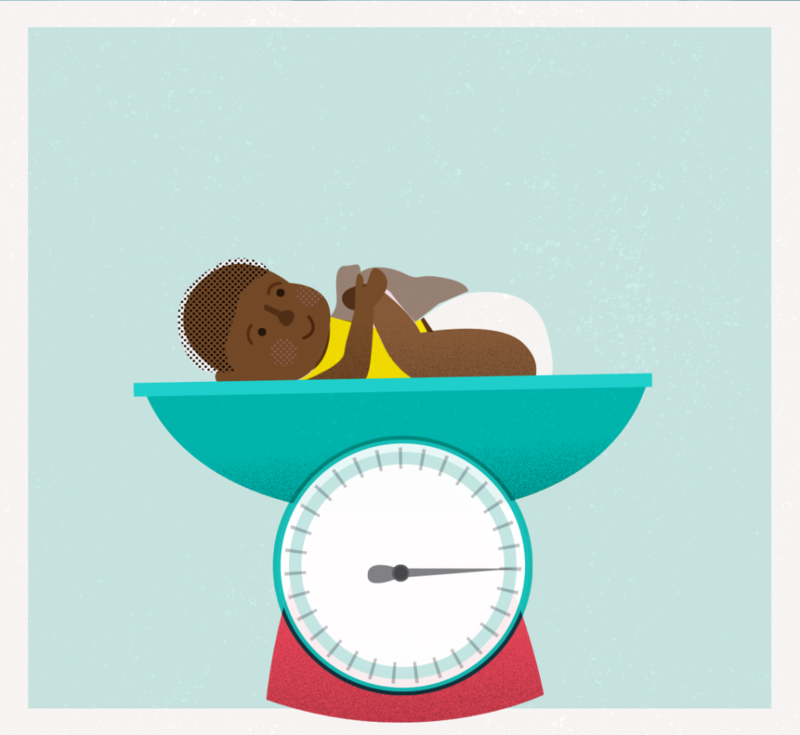 This is called “high calorie malnutrition.” The transfer of nutrients from mothers to their babies during pregnancy and infancy has a profound impact on the health of not only the baby, but future generations as well. Put simply: Nutrients flow across generations. 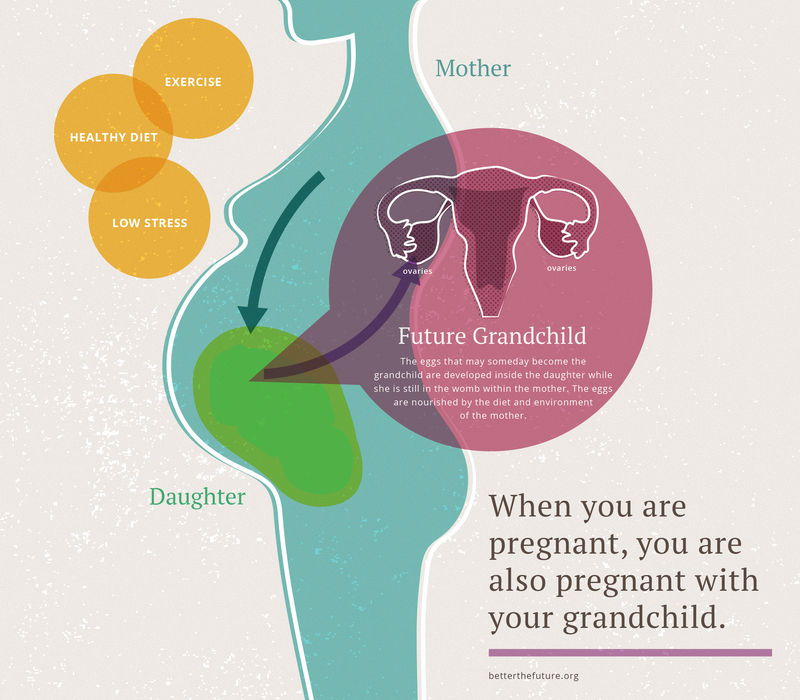 A baby develops from an egg in its mother that was created and nourished by that baby’s grandmother during her pregnancy. This means that a woman’s nutrition directly affects not only her own child’s health, but her grandchild’s health as well. We want to end chronic disease where it starts. Thanks to Barker’s theory and subsequent insights into when the foundations of chronic diseases are laid, we know that vulnerability to disease is due to poor growth early in life, and that improving the quality of women’s diets can turn the tide against chronic disease. With this knowledge comes the responsibility to take action. The challenge, however, is that these diseases are becoming ever more common, and the effort to reverse this growth requires not only changes in individual behavior, but more importantly, societal changes as well. The Moore Institute seeks to not only further research in the field of DOHaD, but also to contribute to a movement to inspire changes in our current food culture, and to prioritize population health so that someday chronic disease is the exception, not the rule. Join our mailing list to learn more about the Moore Institute, DOHaD and how we can work together to Better the Future. Share a link to an article on social media. Start a conversation with a friend, ask them whether they had ever heard about the Developmental Origins of Health and Disease. Write a letter to an elected official stating your support for effective public policy that ensures easy access to fresh whole foods, especially for infants girls and women.